Please note that prices do not include the cost of shipping. Please contact Hardwood Mills Australia on 1800 606 214 for shipping arrangements and payments. 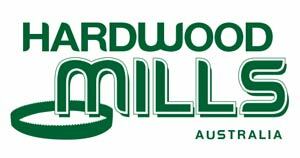 Your satisfaction is our first priority at Hardwood Mills Australia. If your item is faulty upon receipt or is not as described, we will gladly exchange the item or refund your credit card. All returns are subject to us receiving the item back within 7 days of purchase. Items must be returned with their original packaging and, unless they were damaged prior to you receiving them, must still be in an unused and saleable condition.